The Working Income Tax Benefit (WITB) is a refundable tax credit for low-income individuals and families who have a working income over $3,000. The WITB is made up of two parts: the basic amount and the disability supplement. The amount you receive for each (as applicable) is calculated based on your working income and your family’s adjusted net income. Note: If you live in Alberta, British Columbia, Nunavut, or Québec, the amount of working income required to receive the WITB is different than the rest of Canada because these provinces set their own amount. What is adjusted family net income? Does my income level exclude me from receiving the WITB? As previously mentioned, different regions in Canada have different income thresholds for those looking to claim the WITB. Refer to the Canada Revenue Agency (CRA)’s website to see if your income is within that threshold based on your province or territory of residence. Only you or your spouse or common-law partner can claim this credit. If you’re both eligible, you’ll need to decide which of you will claim the WITB. If one of you applies for and receives the Working Income Tax Benefit Advance, that person must also claim the WITB. Note: If you received the Working Income Tax Benefit Advance, the amount will be reported in box 10 of the RC210: Working income tax benefit advance payments statement slip that you’ll receive. Remember, if you qualify for the WITB advance payments and want to continue to receive these advance payments, you must apply every year by August 31st. Refer to the CRA’s website for more information and to complete the application form. If you or your spouse claims the disability amount, that person must also claim the WITB. 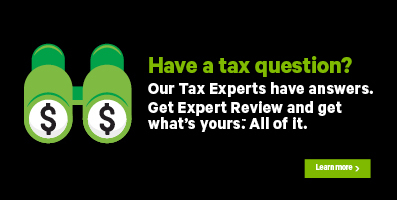 If you’re eligible for the WITB, H&R Block’s tax software will automatically calculate your credit amount. However, you’ll need to confirm if you want to claim the WITB amount and, if applicable, the WITB disability supplement. If you’re filing a coupled return with your spouse or common-law partner, you’ll need to also tell us which one of you wants to claim the WITB amount. You can find your WITB-related questions on the OPTIMIZATION page under the WRAP-UP tab.